The Great Barrier Reef is one of “the things” to do here in Australia. Spanning over 2,300 kilometers (1,400 miles) there are a myriad of options to choose from. I choose Cairns as it was the largest city along the Great Barrier Reef, but other locations would’ve been Port Douglas as well as Airlie Beach. Talking with the cab driver, the outer reef was the place to go. Apparently the sea life and the coral were better further out at sea. After I had booked my hotel at the Hilton, I stumbled upon ReefTrip, a tour outfitter that does overnight trips out to the reef. The lure of seeing the sunrise over the reef was almost enough to tempt me to eat a few nights of my stay in Cairns. Locally, I kept hearing about Quicksilver. Their Trip Advisor reviews were good and they could easily book from the hotel so I went with it. 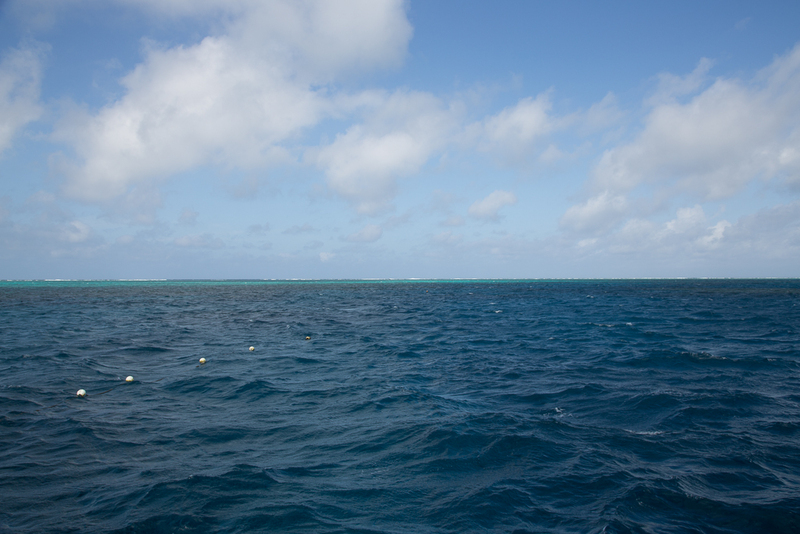 The Quicksilver boat went out of Port Douglas, which is about an hour and 15 minutes north of Cairns. 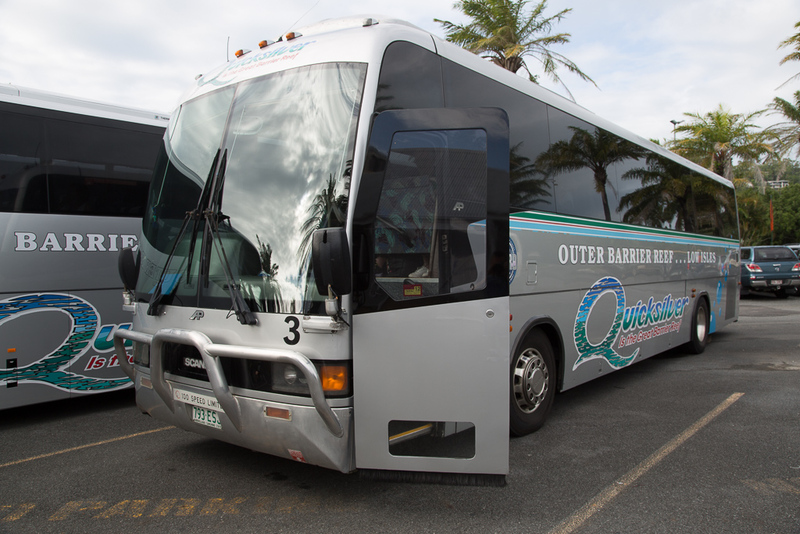 The tour included travel by bus up to Port Douglas. The bus picked me up at 8 AM sharp. The coastline is interesting here. It’s not like Florida where by default you get decent beach. 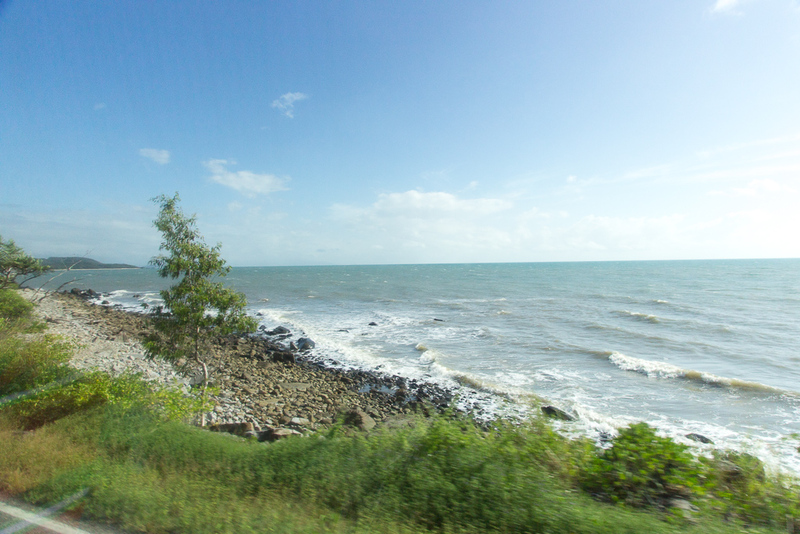 Cairns is at the mouth of the Coral River so there’s no beach here at all. It is a giant mud flat. 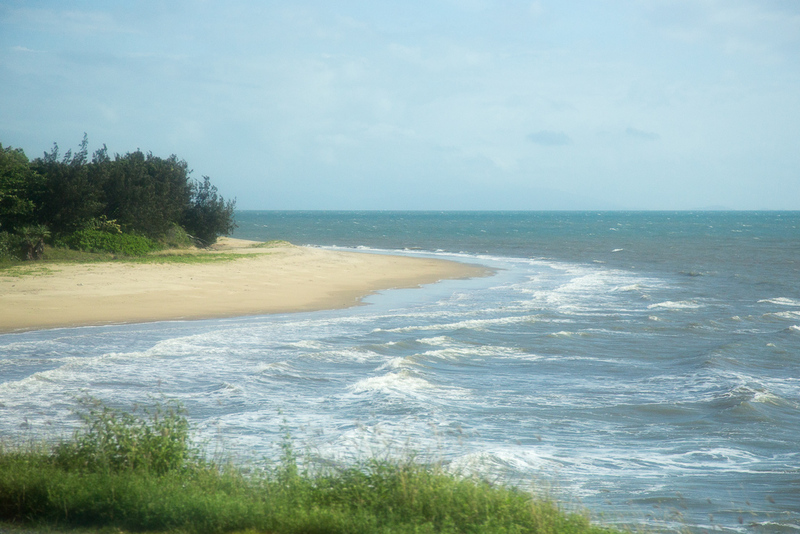 Port Douglas has a great looking beach, but the water is often filled with stingers. Stingers is the Australian term for jellyfish. You can rent a stinger suit, but it doesn’t seem very appealing to go swimming with sharks in a shark bite suit. The stingers only were near the shoreline. They didn’t get as far out as we’d be heading. Much like The Great Ocean Road down in Victoria, the coastline is mountainous here. The flora is much more aggressive than it is in California as it rains much more frequently (like everyday). Some beaches are sandy while others are quite rocky. The bus ride felt long. 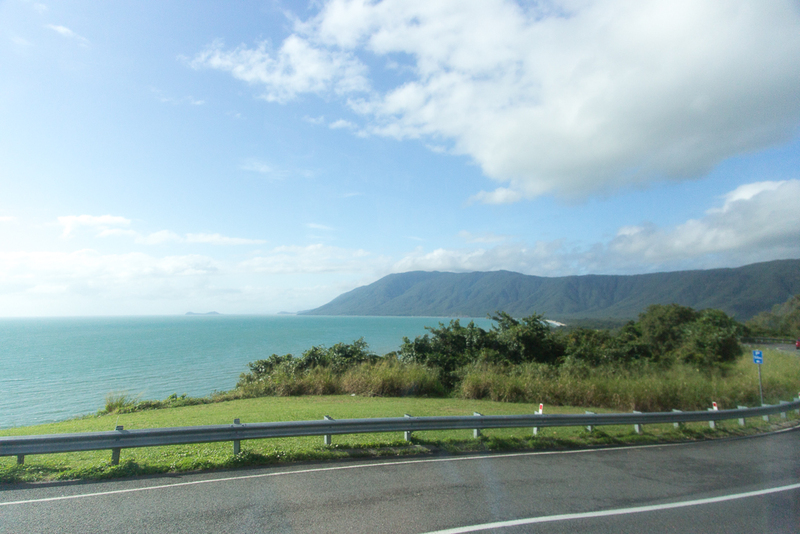 My hotel stop was about midway through all of the stops in Cairns. Additionally, the coastal road had many construction delays due to one way turnouts. We were only 15 minutes behind schedule. When we got to Port Douglas, they ushered us right onto the catamaran that was going to take us out to sea. 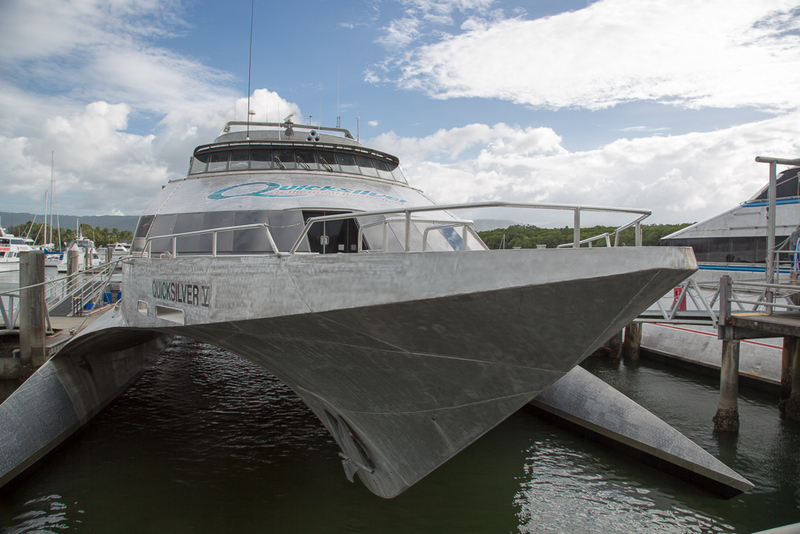 I have to say the catamaran was cool looking. I’ve not seen a boat with so much weight up top and limited presence in the water. In some ways it felt like the V-Strom with its top-heavy design. It was going to be another 90 minutes out to sea out to Agincourt Reef. Port Douglas had a pretty harbor. It reminded me a lot of a tropical Half Moon Bay. The Australian flag is a bit of an enigma. In the States, we are very protective about the look of the stars and stripes. Here in Australia there are many variations of the Australian flag. Each state flag looks like the national flag but has a different emblem in the lower right-hand corner. Different branches of the military swap out the blue background for a different color. 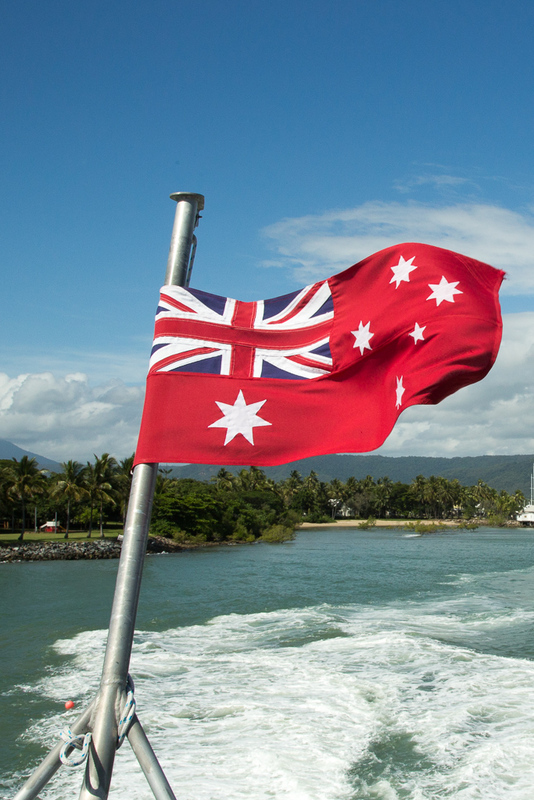 The Australian flag for marine use has a red rather than blue background. Right after we pushed back from the dock the sales pitch began for all of the add-ons: cameras, helicopter trips, scuba diving, and everything else you could think of. Renting an underwater camera was top on my list. Traveling so far to this natural wonder, I wanted to ensure I had great photos. It looked like we were going to get Canon cameras from the website, but the camera du jour was a Panasonic Lumix. I was bummed as I know Canon inside and out that the Panasonic camera was a bit of a black box. All I could really do was turn it to auto and hope for the best. Heights and I never really got along all that well. We make decent company when we have to be together, but I don’t often seek out opportunities to be separated a great distance from the ground. 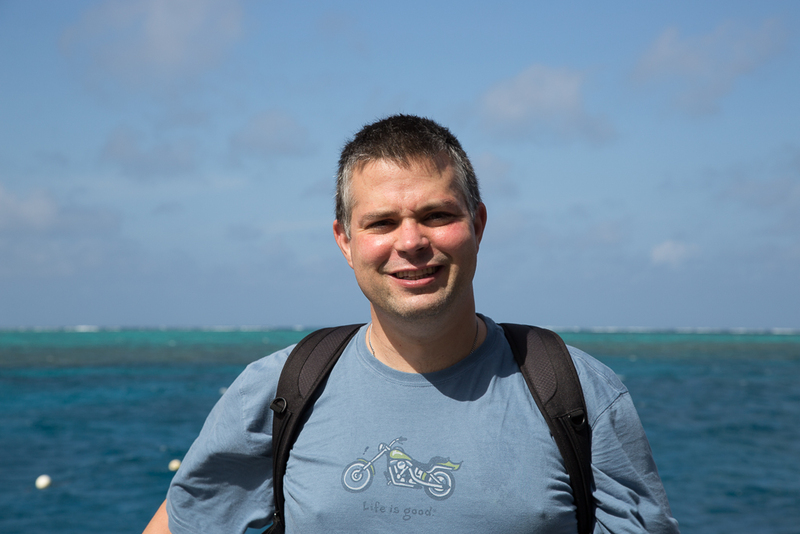 One of the options was to take a helicopter flight around the outer reef. It was $165 for a 10 minute ride. I declined even though the pilot was cute… I regretted that decision later as I probably could’ve gotten some epic photographs of the reef. Humidity was all around us. 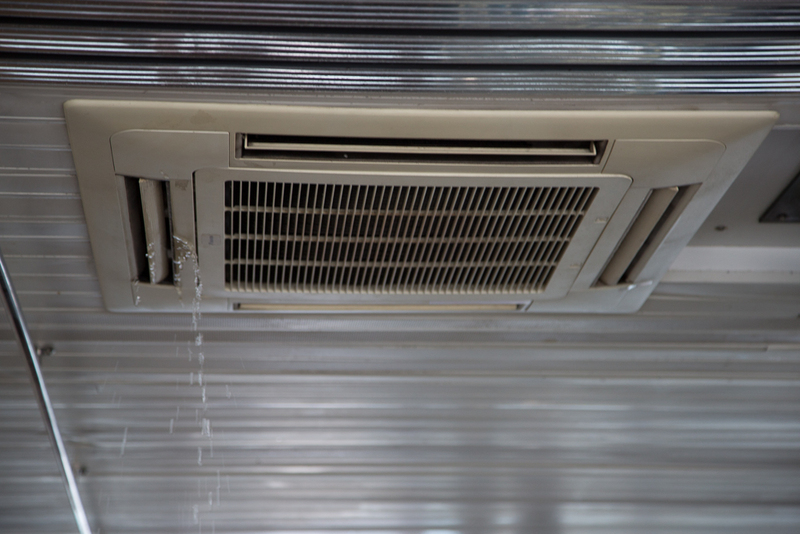 The boat’s air conditioner was so overwhelmed that it started pouring water out all over the center of the boat. There was some wind and local storms in the area. 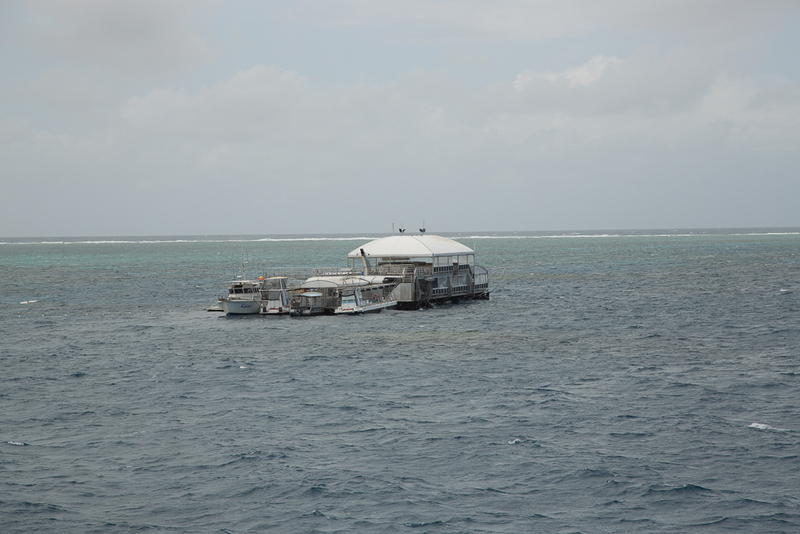 The crew advised us it would likely be a bumpy ride out to the reef. I didn’t think too much of it having spent a number of hours in the air on bumpy plane flights. 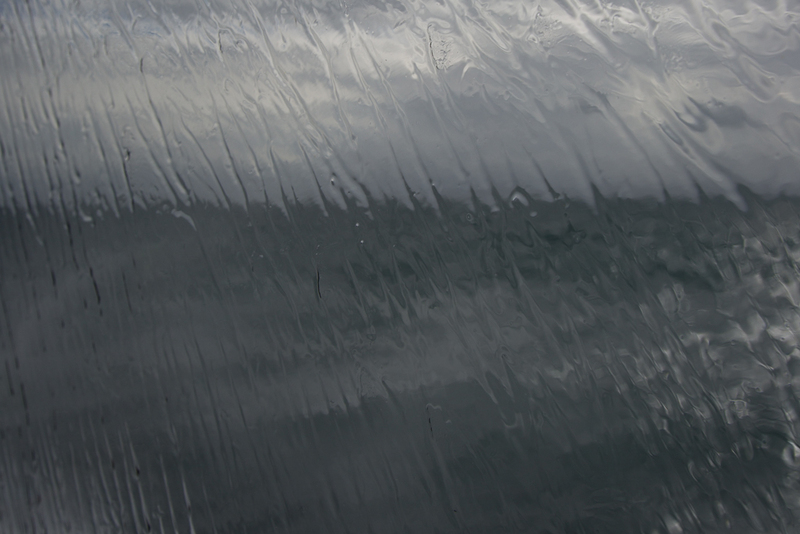 Once we were firmly out to sea the boat really started rocking. I was walking back to my seat and the boat jerked. I was pushed about 3 feet into a rail. Wow that hurt! Once we all heard the boat’s motor slow, we knew we were just about at the end of our journey. I looked out the window to see our dive spot. On the web the reef dock looked outstanding with deep green and blue water surrounding it. As we got closer there was a fair bit of gap between the website and what we actually saw. The weather had a large part to do with it as the storm brought in some overcast weather. Once connected to the reef dock, the staff let us know we had three hours to enjoy the reef before we had to go home. Normally I try to encapsulate each experience within one blog post. This one deserves two. Tune in for the next article where I jump into the sea below.